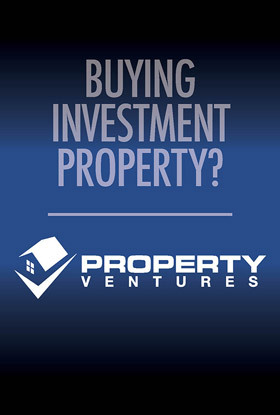 Are You a Property Investor (Or Planning to Be One)? Business - start or buy a business, grow it and eventually sell it or live off the profits. Shares - buy to hold or buy to sell shares. In truth, GRA focuses on items 1 and 3. If you are involved in small to medium sized businesses, and/or have an interest in paying less tax and creating wealth through property investment, we can help you. Why is property a good investment? New Zealanders are keen on property as an investment partly because of our deep-seated desire to Kings of our own Castles, but also because property offers a degree of control, tangibility (you can touch and see it) and permanence. Above all, however, property has the potential to make great returns due to the power of leverage (being able to borrow most of the purchase price, yet keep all of the increase in value). Even your family home, if purchased sensibly, can provide excellent returns, but where property comes into its own is as a pure investment i.e. buying it to rent out to tenants, or to on-sell for a profit. Using a variety of reliable strategies to create a portfolio of investment properties is a proven way to build wealth, and at GRA we can show you exactly how to do this. Talk to our GRA team if you want to learn more - we can assist you if you are time poor, or show you how to do it yourself by helping you get educated and providing you with the tools you need to purchase property at the right price. 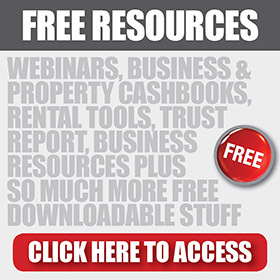 Where do you start in property? There are so many opportunities for small investors and businesspeople to get stuck into. Typical strategies that GRA can help with are listed below, but first we must stress that it's vital you get your tax and legal structures sorted out. Talk to us before you buy anything so we can set you up to protect your assets and minimise the tax you have to pay. Cash flow property: These properties provide you with income (cash flow). The rent covers all the costs of owning the property (including loan payments) and provides a surplus above this. Capital growth property: These are the properties that increase in value markedly over time due to their location. Usually the rental income does not cover the costs of ownership, so you have to inject money from elsewhere. Your family home should also come under the category of capital growth property. The capital growth properties will substantially build your wealth and the cash flow properties give you the means to do so. You need a balance of both in a portfolio, and there are a few tricks to doing this successfully, which GRA can show you. Buy at a discount: Buying under market value de-risks your investment, and means you've made instant capital gains. Usually you'll have to manufacture your own discount (meaning they don't actually grow on trees), and GRA can teach you some strategies for doing this. Aim for zero cost ownership: By this we mean pay nothing and get the capital gains for free. Another term for zero cost ownership is 'no money down deals'. This means your properties are 100% financed and pay for themselves (rent covering all the costs of ownership including loan repayments). Let's say you find a property that last year was $330K, but this year at mortgagee sale you can get it for $220K. You borrow 100% of the purchase price using other property you own (say your home) as security for the purchase. Or maybe you use a relative's property, get some vendor finance, or perhaps you borrow the deposit if you need to. Because you've paid $110K less than what the previous owner paid, you've effectively created a 33% discount off the old value of the property. Generally, property values always recover to their former peak sale price, and continue to grow over time. It's just a waiting game. Rented at $375 per week with interest at 7%, you have break even cash flow (before any tax refund) and you are 100% financed. Wow! That means as the property recovers and grows in value over time, you get the capital growth for free - and while you wait for the recovery, the rent covers all outgoings including loan interest costs. Sometimes it won't be possible to borrow the entire purchase price upfront to buy a property, but by implementing your investment strategy correctly, you'll be able to make it a no money down deal in the not to distant future. When the property's value has increased, you refinance your loan, effectively pulling out your deposit, so you have none of your own money left in the deal. Not every property (e.g. those in high capital growth areas) will generate enough cash flow to be able to pay for itself like the one in our example, but it is possible create a zero cost property portfolio overall, and that's what successful investors aim for. Zero cost ownership is a great recession strategy, very low risk in our view. 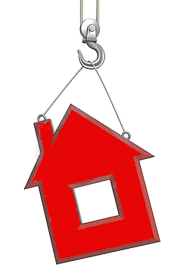 Property trading involves buying a property and then on-selling it for a profit. The main ways investors make such profits are by buying for a discount and then selling at market value, or by increasing a property's value through renovations. Working out the costs involved (including tax and GST) is very important in ensuring you really do make a profit, and GRA can provide expert advice in this area. Buying a property with many rooms and renting it out on a room-by-room basis, is a very effective way of increasing cash flow. As part of the arrangement you provide internet, shared facilities, and agree that each tenant is only liable for their single room. Here are some figures to illustrate how such an arrangement might look. Say the property is worth $550 per week as a 5-bedroom house. On a rent-by-the-room basis, you can get $180 for each room, or $900 per week, which represents a vast improvement in cash flow. The rent-by-the-room strategy will not work with every multi-bedroom property and is best suited to those in areas popular with students. You also need to be careful you don't cross over into boarding house territory, which is more complicated with regard to regulations and tax. Development covers a broad spectrum of activities including subdivision (turning a larger piece of land on one title into two or three lots with their own separate titles), small scale infill housing (subdividing and then building on the new lots), or larger development projects for commercial or residential property. Matthew Gilligan has developed over 220 sections and built many houses for resale. His expertise in development, strong background in taxation and legal structures, and on-the-job experience in property make him a great advisor to have in your team for planning and conducting property developments and putting your fundamentals in place. Getting the structures right, getting the banking right, and planning the costing and project management are things GRA can start you off in the right direction with. Lease options are like rent-to-buy arrangements. You find someone (called a tenant-buyer) who wants to own their first home. You enter into a legal agreement whereby they will purchase the home from you for an agreed price at a specified date in the future, and in the meantime they can live in the property. The lease option contract states that they pay you market value rent plus a second payment, called an 'Option Consideration'. When they are ready or able to, they exercise their option to buy and you credit them with all the option consideration paid to date. If you have a house that cost you $250K and they sign it up at $350K, you pick up the margin and their option consideration payment makes the property well and truly cash flow positive all the way through. If they do not strike the option, you get to keep the option consideration and can do it again with a new tenant-buyer. While they make excellent opportunities to create both cash flow and capital gain, lease options are complicated and you need expert advice before entering into one, so talk to the GRA team first. Why have GRA as your property accountant? The first key to successful property investment is to be set up correctly for asset protection and tax. This is a specialist area for which you need professional advice. GRA are experts in this field, and can help you structure your investments in a way that minimises your exposure to risk and maximises your returns. The second key to successful property investment is to make sure the numbers work, and running any prospective purchase past an expert property accountant is highly advisable. It's easy to make mistakes when analysing deals, especially when you are first starting out, and this is where the experienced team at GRA can really help. Our 'Rental Analysis' tool. You can project/forecast your rental properties' results, looking at cash flow, capital growth, yields and all outputs. An essential piece of equipment. 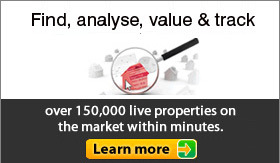 Our 'Property Development Analysis' tool. You can project/forecast your property developments through our projection tool, applying a simple approach of 'filling in the blanks' to get a thumbnail overview of what your development will yield. 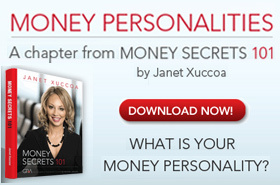 This helps you avoid costly mistakes by working out in advance whether you will make money or not. Often interest, GST and selling costs, for example, are not factored in. We have all the costs identified. Contact us today to about talk property portfolio development, how we can help you, and let us fire up your wealth creation programme through property now. goGot a question or need help? Send us your details and we'll contact you.